VintageFest is being held at ZF Services of North America in beautiful Vernon Hills Illinois, and we appreciate their ongoing support by providing such an ideal location again this year. This is always a great day for seeing a wide variety of BMW’s from M1 to Isettas–and one of the largest gatherings of 2002’s & E30’s in the region. 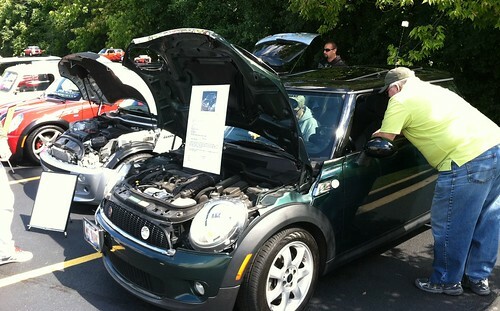 Every registration includes an opportunity to win a door prize whether you plan to show your car or not. Please just let us know in advance that you plan to attend. Lunch will be available (Hotdogs and Sausages) – Pre order to get the best price! Once again, we are expanding this event to make a difference for folks in need. We ask that everyone bring a non-perishable food item or make a financial donation to the Northern Illinois Food Bank (they can buy $8 of food for every $1 donated). Note: This registration form assumes one vehicle per person. Please fill out a form for each vehicle you want to show.